Fiber is a wonder boon as it has so many health benefits, but I am addressing a few of them. It is an important component of a healthy diet; it is the indigestible part of plant foods that pushes through our digestive system, absorbing water along the way and easing bowel movements. There are two types of fibers according to Best Dietician in Walkeshwar Road Nutritionist Geetanjali in Mumbai – Soluble & Insoluble. Soluble fiber dissolves in water to form a gel-like substance. It is found in oats, citrus fruits, vegetables, barley, apple, bananas. Insoluble Fiber binds with water to swell in size. These are found in the bran layer of grains, legumes, seeds and nuts. 1. 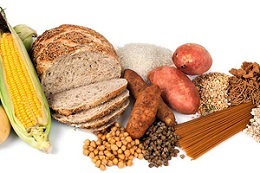 Fiber improves digestive health – prevents & relieves constipation. 2. Fiber prevents weight gain. 5. Fiber lowers your cholesterol. 6. If you have diabetes, having the right amount of fiber will help you to enjoy a variety of foods as fiber manages blood sugar levels effectively. 7. Fiber prevents all chronic diseases of the gut (Digestive Systems). 8. It helps to keep our colon healthy.